2011 April 04 » Embroidery Talk Has Moved! Every once in a while we take a look at our store and wonder what we should add to it. Sometimes that question is prompted by a product going out of stock or being discontinued. Other times, the question is simply prompted by the desire to make the store and the products offer in it more useful to our customers. Currently, the section we’re pondering is our Accessories, Tools and Maintenance section. We’ve had a few types of scissors that we were carrying go out of stock recently, and one of the things we’re considering is adding some different types of scissors. The question is, what type? Should we add big dressmaker shears. Should we add small scissors for trimming work? What sort of scissors would you like to see us carry in our online store? Another thing we’re looking at is adding more items for machine maintenance. Because our parent company owns so many machines, we know how important regular maintenance and keeping your machine clean and lint free can be. We already offer screwdrivers and lint brushes, but I’m wondering if there are more maintenance tools and supplies we should be offering. I have the same query when it comes to oil. Are zoom spout oilers and quarts and gallons of sewing machine oil enough options for the average machine embroidery shop? 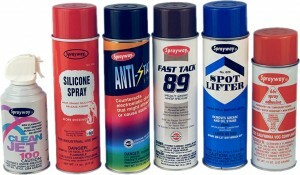 Finally, I shouldn’t forget to mention the Sprayway products. 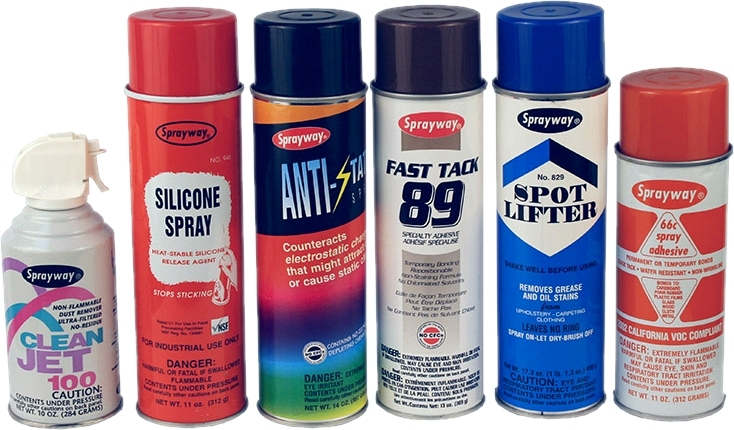 We have two types of adhesive sprays, anti-static spray, silicone spray, spot remover and more, but there are Sprayway products we don’t currently carry. Is there something in the Sprayway inventory you’d like us to add to the EnMart inventory? We do take suggestions from customers as to what we should include in our inventory all the time, and we’d certainly like to hear and consider yours. If you have a suggestion for something we should add to the site, please leave it in the comments.